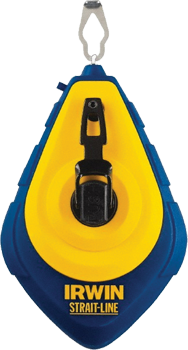 Reusable Hose Splicers allow for in-field repairs of damaged hoses; just cut out the damaged section, install the barbed ends of the splicer and tighten both nuts. Water Proof will not wash off even under heavy downpours. Saves time and money. Snaps a clean solid line. 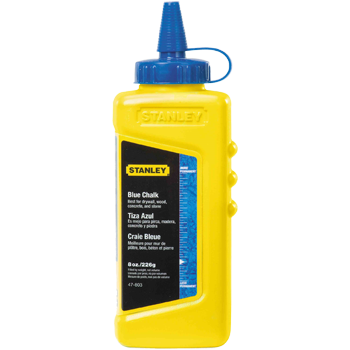 The blue chalk is high-grade and easy to use. It touts a twist-to-open spout for easy pouring and square bottle to help prevent rolling off of your work surface. 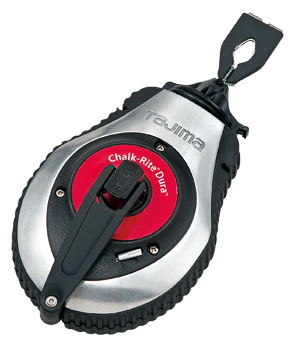 Extra rugged die-cast aluminum case, thick tempered steel handle assembly, and handle stay. Built for power, yet refined for all-day comfort. 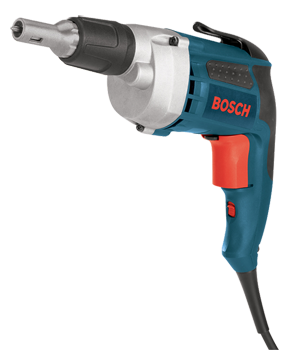 With 179 in-lbs of torque, the best torque to weight ratio in its class, this drill is great for all-day use. 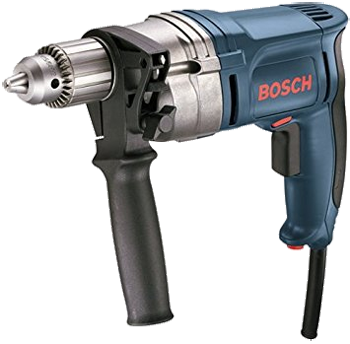 This drill is a 1/2" pistol grip heavy-duty high amperage pro drill. With a 8 amp motor and 1/2" keyed chuck. 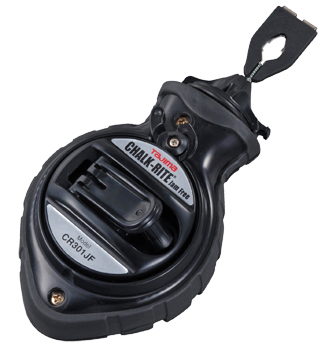 Driver combines outstanding fastening ability with a compact design capable of handling the toughest jobs. 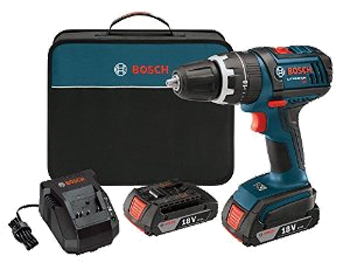 Comes in a kit that includes two 18 lithium ion batteries, charger, double ended phillips bit, belt clip and carrying case. 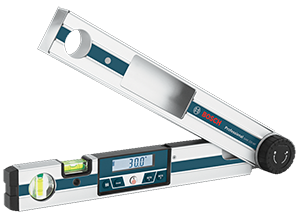 The Bosch GAM 220 MF Digital Angle Finder is four tools in one: an angle finder, a cut calculator, a protractor and a level. The flip display is illuminated and rotating, making it easy to read. Active Response Technology mitigates injury to user in case of blade contact, dropping the blade under the table with no blade damage. Easy system reset takes less than 60 seconds after blade drop, with no damage to the blade. 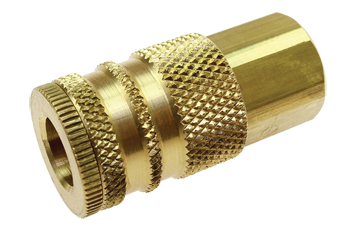 Dual-activation cartridge unit uses two single-shot cylinders for two separate activations with each cartridge. 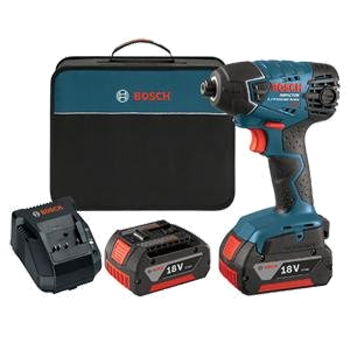 The Bosch 4100-10 10 In. 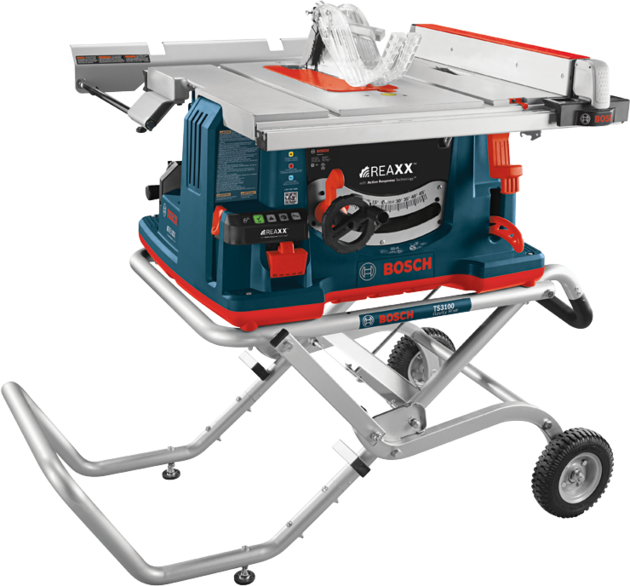 Worksite Table Saw with Gravity-Rise Wheeled Stand delivers both professional rip capacity and outstanding portability for a tool that can get the job done, wherever it is. The powerful 15 Amp saw delivers 4.0 max HP for outstanding productivity. It also incorporates soft-start circuitry for smooth but quick ramp-up to the operating speed to manage the intensity of motor start-up and minimize the possibility of tripping a circuit breaker.. It includes Constant Response circuitry to help maintain speed under load, and overload protection. The SquareLock rip fence is engineered for maximum trueness and great ease-of-use, with the fence able to easily glide along the rail for one-handed operation. The lighter GTA47W Gravity-Rise Wheeled Stand has 8 In. 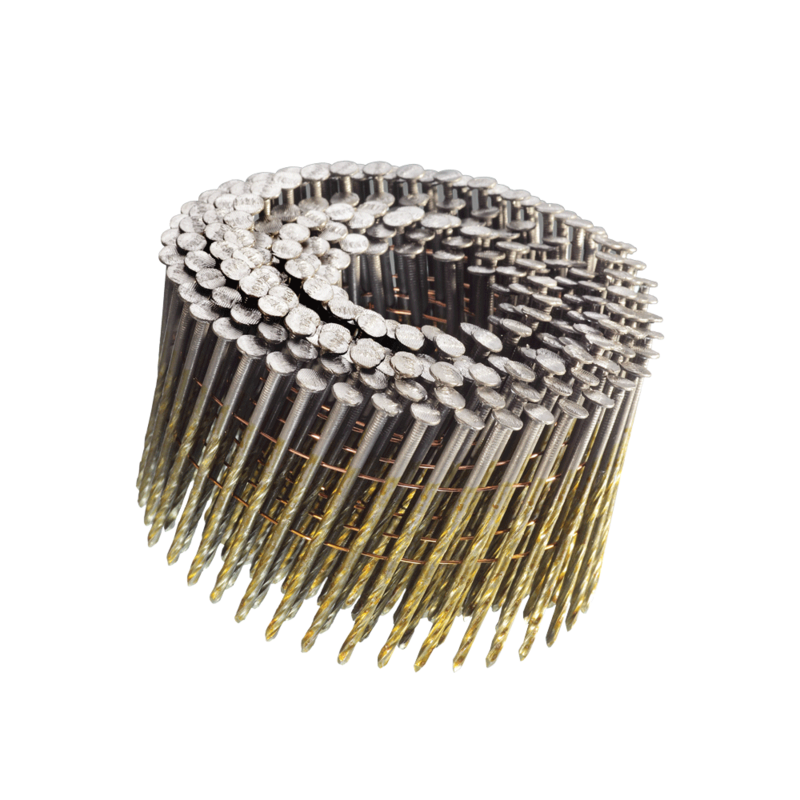 treaded rubber-composite tires and a single-action design for easy set-up and transport. It is jobsite-ready with heavy-duty construction. The Smart Guard System is the first modular table saw blade guard, featuring a three-position adjustable riving knife, anti-kickback pawls and non-obstructed-view barrier guard assembly. The table saw provides a 29 In. 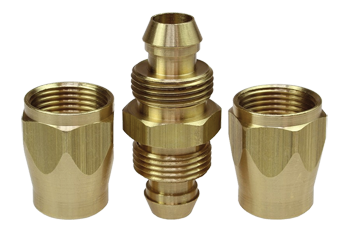 x 21-1/2 In. square tabletop with a 25 In. rip capacity for ripping 4 Ft. wide sheets goods in half. 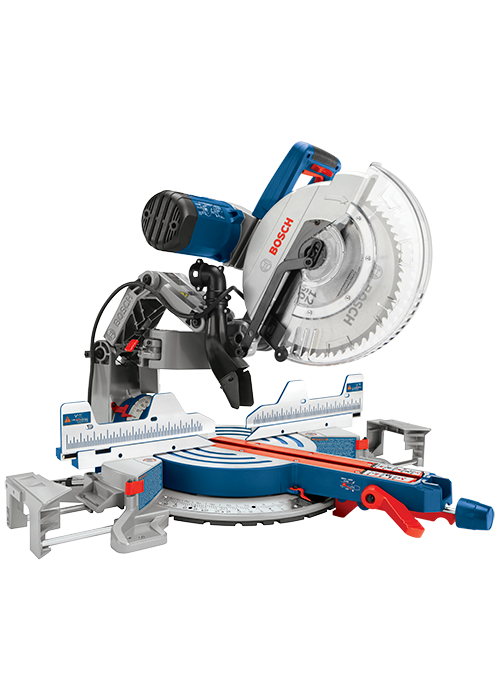 The Bosch-exclusive Axial-Glide offers wider cross-cuts, enhanced alignment and smooth glide for the life of the tool. 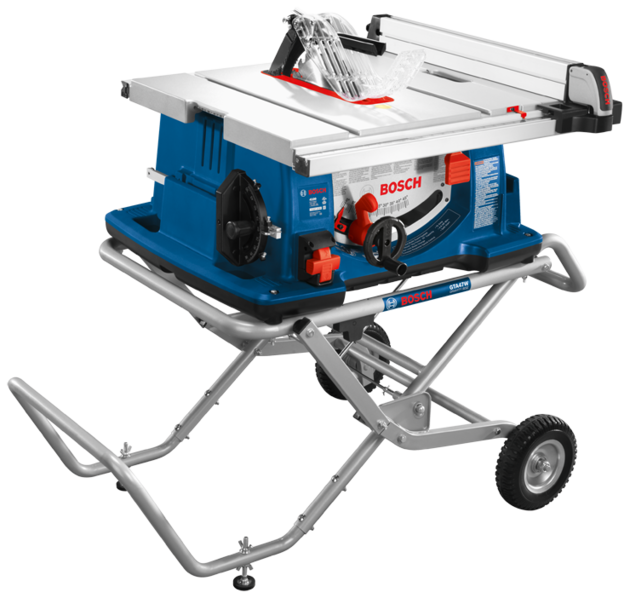 The Bosch miter saw's 15 Amp motor delivers no-load speeds of 3,800 RPM for quick, accurate cuts in many materials. For added convenience and versatility, the saw is compatible with a variety of 12 In. 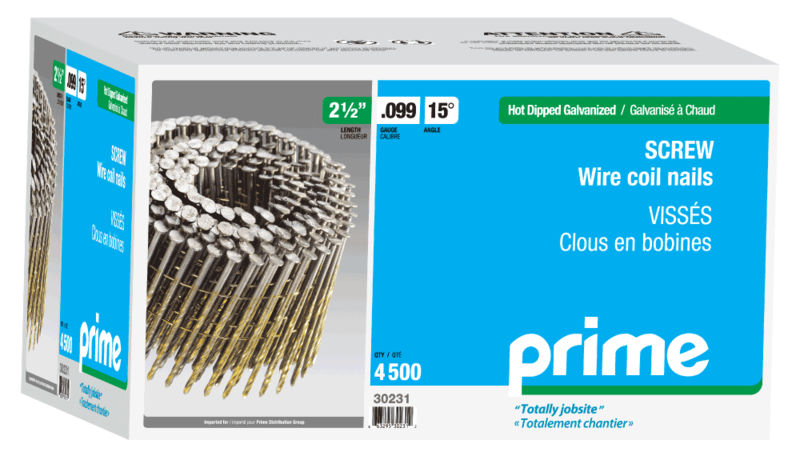 blades and it has a clear lower guard to provide unobstructed cut-line visibility. The GCM12SD provides easy adjustments with upfront bevel and miter controls and detents at common angles. The saw's all-metal bevel lock lever and range selector are located up front to make bevel adjustments easy.